PsyCam is a well established, private clinical psychology practice based about 2 miles from Addenbrookes Hospital. We offer a high quality, intelligent service to young people and adults across East Anglia and beyond. Victoria Louise Surbala Morgan, Principal Consultant at PsyCam, is an Oxbridge educated psychologist with many years of experience in the NHS and the private sector and committed to evidence based practice. She is a Clinical Psychologist and Counselling Psychologist, fully Chartered with the British Psychological Society and a Registered Practitioner Psychologist with the Health and Care Professions Council. Psychological Assessment and Therapy for the full range of adult mental health problems and for teenagers from age 13 and up. Adult Asperger Assessment (AAA) – assessment and diagnosis of Asperger Syndrome in adults. Couples therapy for people experiencing transitions and challenges within their relationships. Medico-legal psychological assessments and reports. Psychological Coaching for professional and personal development. Appointments available within 2 to 3 days of first contact / referral on weekdays, daytime and evening and on Saturday mornings. 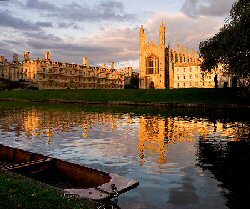 The photographic images of Cambridge used throughout this site are by included by kind permission of the photographer, Sean McHugh.